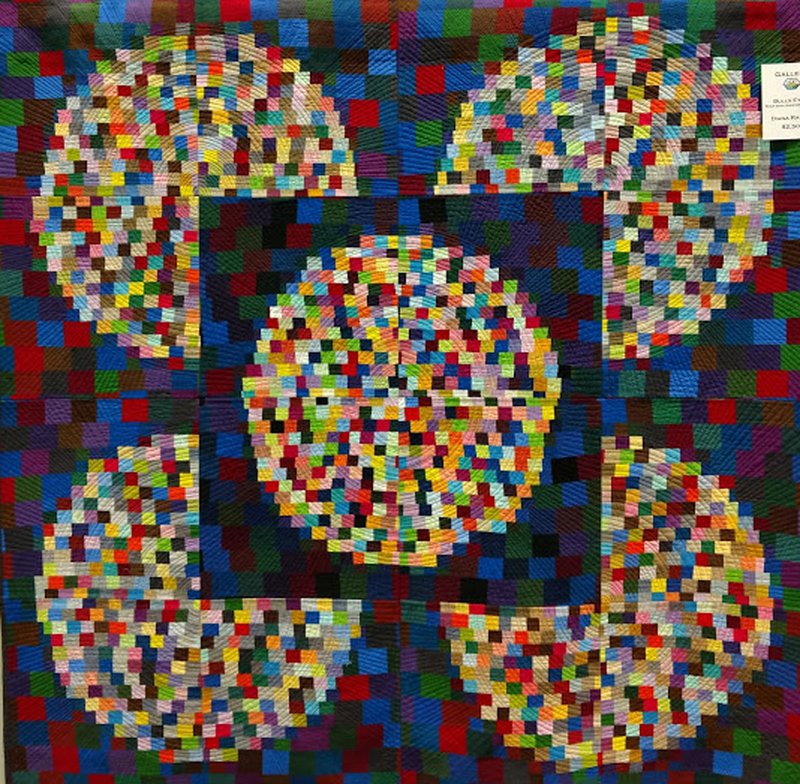 So I went to the Asheville Quilt Guild’s annual show, which usually has lots of inspiration. There were many nice quilts, but two quilt makers stood out, in my opinion. The guild’s gift shop always has something I wish I had made, and this year it was a little pyramid bag. Of course I bought it. And here is the first set of pyramids. They were quick and easy! Do I hear a Christmas gift idea? 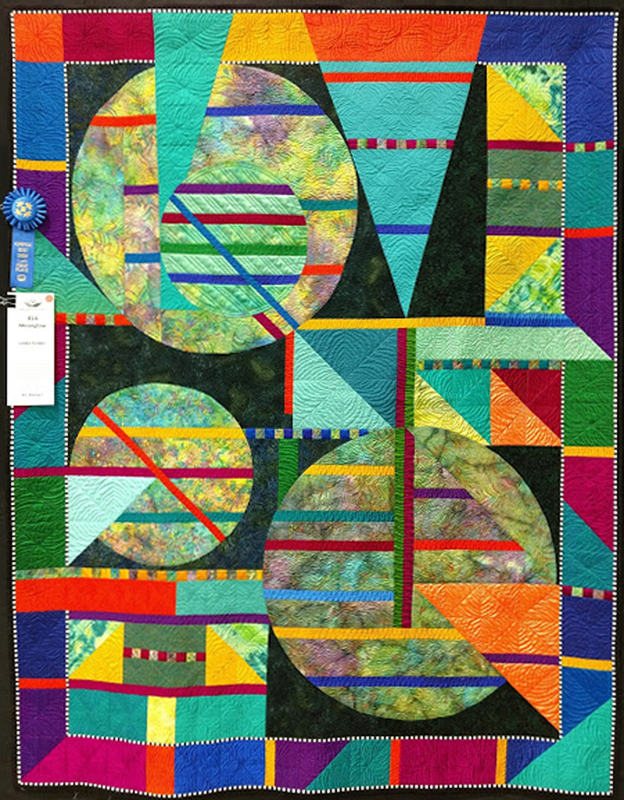 This entry was posted in Crafts, Modern Quilts, MQG, Quilt show, Quilting, Sewing projects and tagged art quilt, Asheville Modern Quilt Guild, modern, modern quilt, Modern Quilt Guild by zippyquilts. Bookmark the permalink. Very impressive quilts. I especially liked Fascinating Rhythm and Moonglow. Thanks for the link to the pyramid pouches. I think they are perfect for gifts. 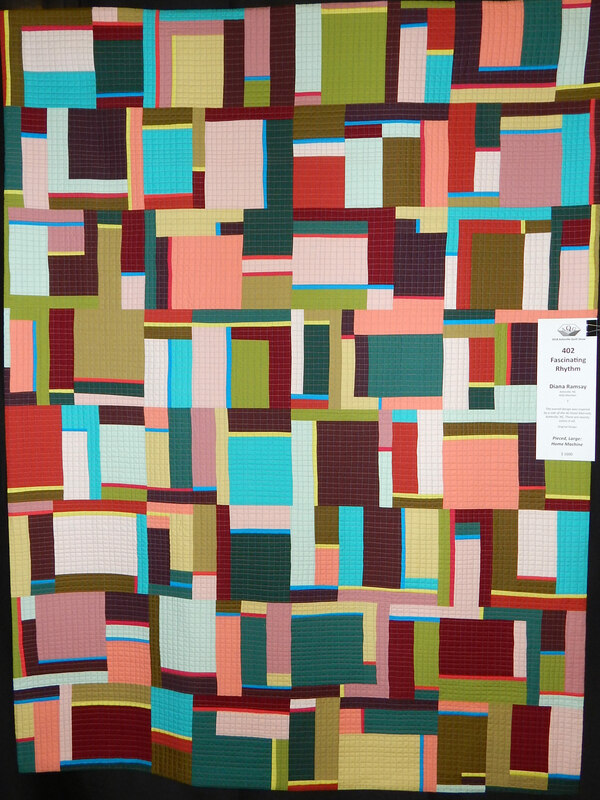 “Modern quiltguild which used to exist in Ashville…” Oh my! Gone or moved? Replaced? I really like the mix of circles and lines in Moonglow. Fell apart due to “strong personalities”. The one in Franklin (NC), nearer my home, is doing well, however. Thank you for sharing these impressive quilts from the Asheville Quilt Show. 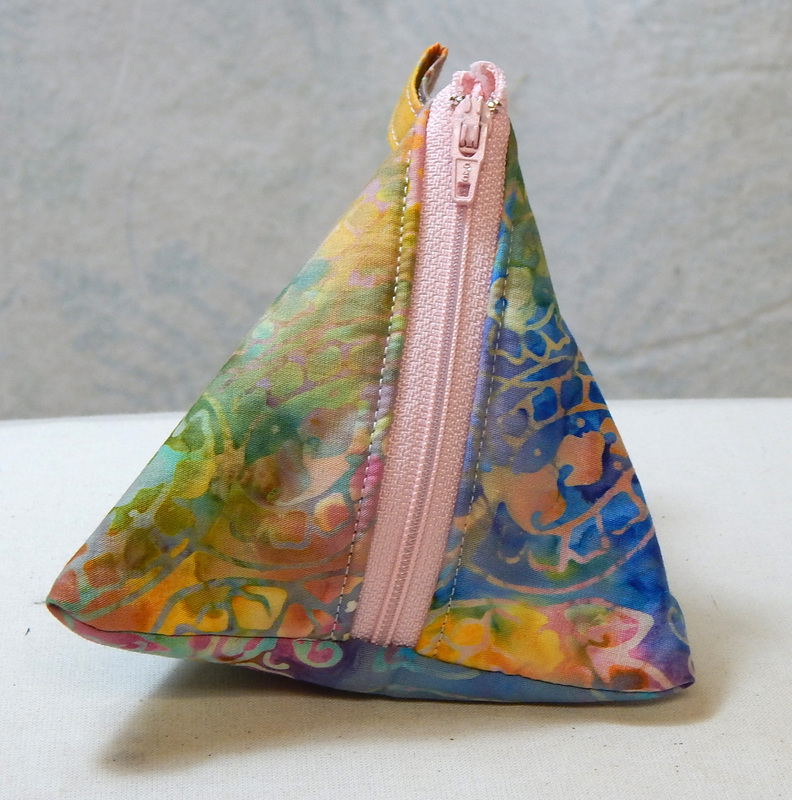 Your family pf pyramid pouches are adorable. Of course, wonderful eye-candy for me to see! Thanks for the Quilt Show shots. Those pouches offer an opportunity to brush up on zipper-installation skills without messing up a crucial garment – will have to try out that pattern. Little cuties, they are! Amazing quilts from the show – wow! Love the pyramid bags! The cartoon stripe one is especially adorable! Fun to see these quilts. I have a friend who making one similar to that first one–wonder if she got her inspiration out of the air, of if she saw this? I love your little pyramid bags–will bookmark that for future reference, for sure!